This past October, hubby and I celebrated our 30th wedding anniversary by spending a few days away. We were undecided on where to go but eventually agreed upon Boston. I had never been there before and I was excited to see the history of our country’s foundation. Another reason we chose Boston, was for the proximity to the airport. 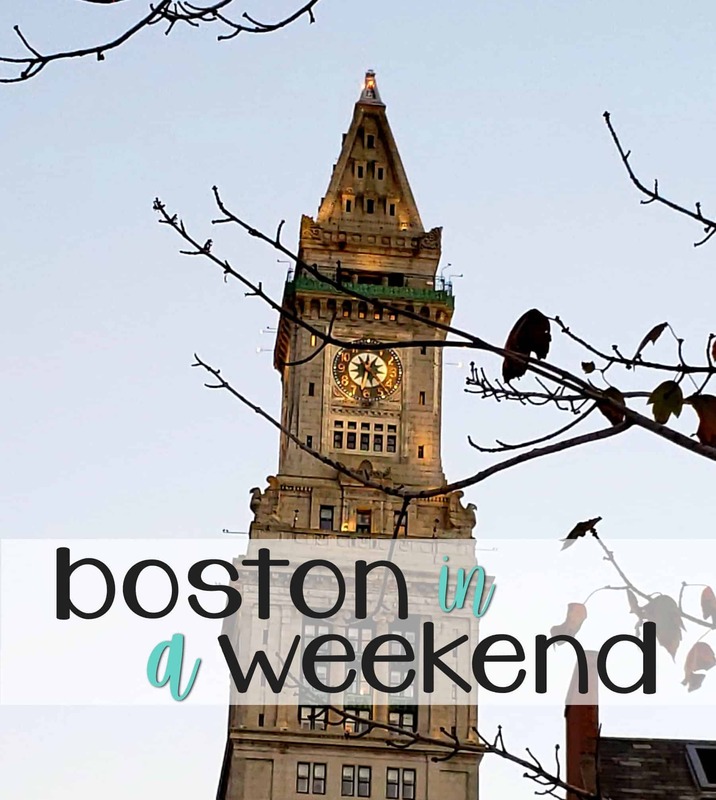 We weren’t looking for a long car ride from an airport to our destination, and we were also relieved to learn that Boston was a walk-able city, so no car rental would be needed. The trip mainly revolved around The Freedom Trail. It is a 2.5 mile red-line trail that takes you through the entire downtown and North End districts, with 16 historical stops along the way. You will definitely want to keep a map of the trail handy, because there are many places to explore, and it is easy to jump on or off the trail at your leisure. The following places really stood out for me on this trip and I am excited to share them with you. This was our first stop after we arrived. It was pouring out and since this was right behind our hotel, it was quick to dart to and get in out of the rain. 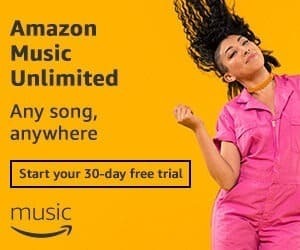 I can’t say enough about how much I enjoyed it. They did a terrific job making us feel part of the history with their interactive presentation. The actors were outstanding, the show is very informative, and very well put together. We bought full price tickets at the ticket booth only to realize afterward that discounted tickets were available at our hotel, so keep that in mind when visiting. We stopped at Faneuil Hall Marketplace each day of our visit, we just loved it! It’s centrally located just outside of Downtown, in the North End, and it’s a super busy with lots of activity. You’ll find shopping, with both big chain stores and small souvenir shops. There’s plenty of food, including eateries like Cheers (from the television show), and an abundance of market food that will leave you full because you’ll want to try it all! You’ll also find street performers wandering around, showing off some amazing skills. 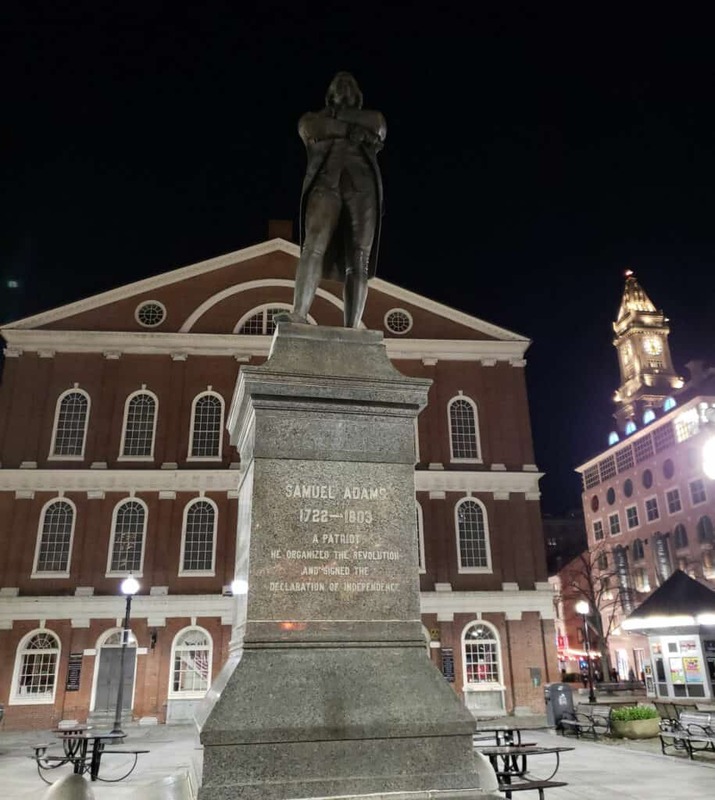 As if all that wasn’t enough, this is where you’ll find a great deal of history with the Common House, Faneuil Hall and the Old State House. Oh, so good! 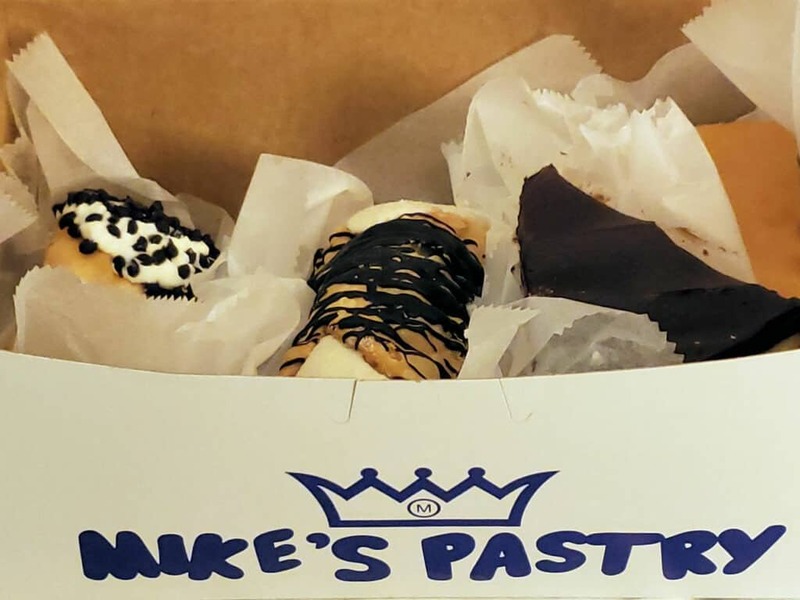 Mike’s Pastry is a very popular bakery in the North End, Boston’s “Little Italy”. It is well known for it’s cannolis. This is, by far, the busiest pastry shop I have ever seen. There are 7 or 8 lines, and each are 20 people deep. The lines moved rather quickly so wait time was no problem…perhaps claustrophobia was the bigger problem, as it is a tight squeeze. Any wait time or crowd anxiety was forgotten as soon as I tasted my dessert. While the cannolis were outstanding, I thought the cheesecake was to die for. I understand the popularity. If crowds aren’t your thing, try Modern Pastry. It’s located on the same street and it is also delicious. This monument was a bit of a walk from our downtown hotel, so we opted to ride a trolley to get there. 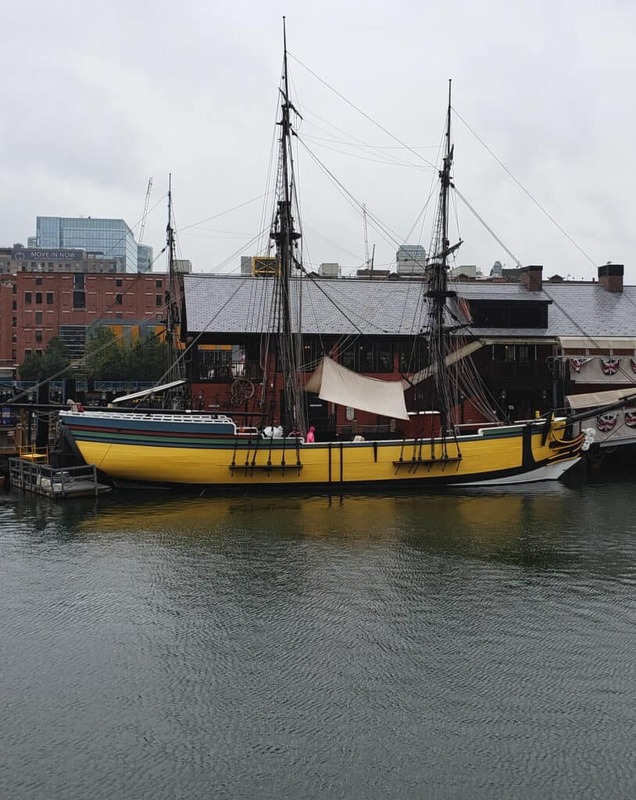 This was a nice ride with any number of stops along The Freedom Trail, where you can hop on and off at your leisure. We got off at the U.S.S. Constitution and walked to Bunker Hill from there. The monument stand 220 feet high and commemorates the battle which took place there on July 17, 1775. even though the Americans lost the battle, it decimated the British troops and was a pivotal battle on the way to earning our freedom. 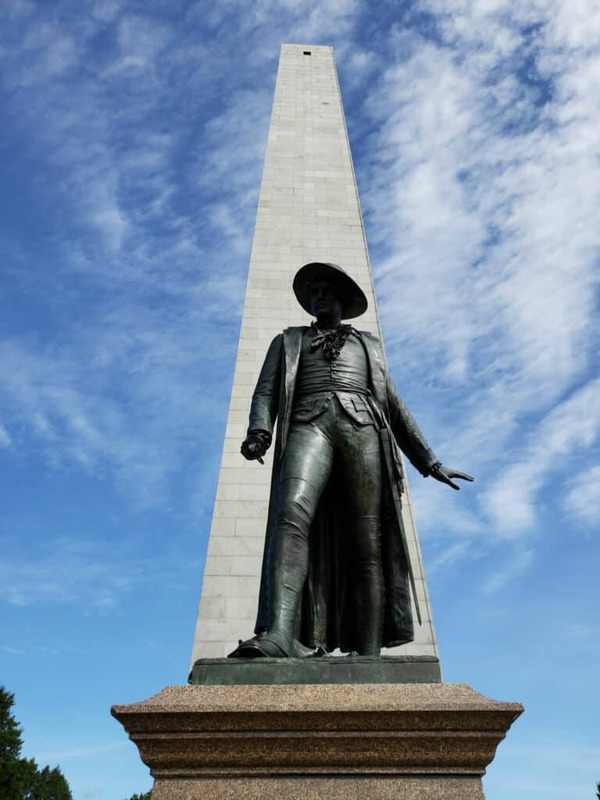 You can walk, at no charge, to the top of the monument, all 294 steps, and get a great view of Boston. 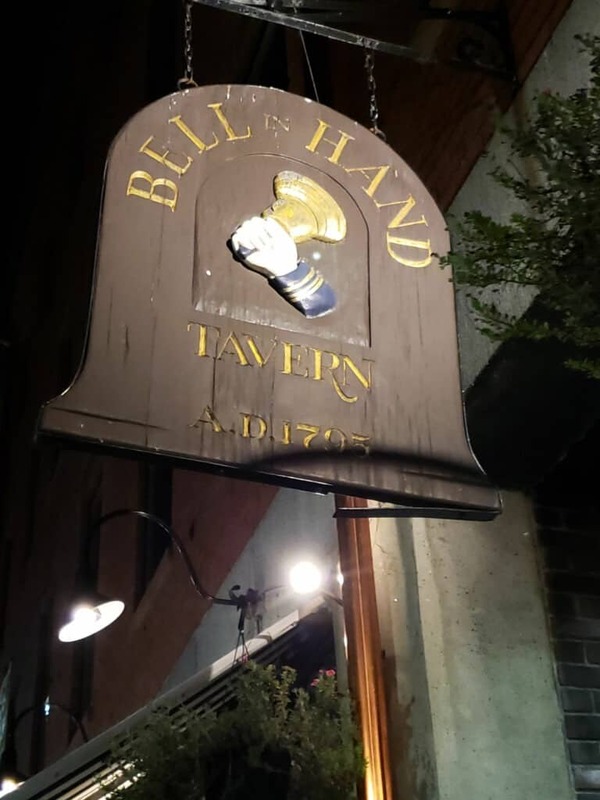 The Bell in Hand Tavern establishment has been open since 1795, making it the oldest tavern in America. We wanted to stop in just for that reason and we are glad we did. It’s located on a little cobblestone corner, next to The Oyster House. Everything in this little area looks like Colonial America. The food was very delicious and the Sam Adam’s was cold. 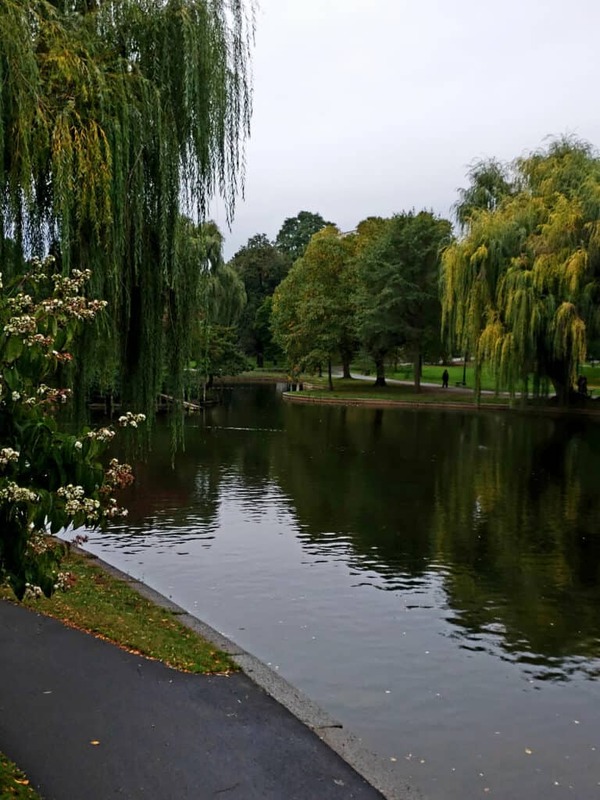 The park areas of Boston Common and Boston Public Garden are part of what is known as The Emerald Necklace, aptly named for the greenery in the parks surrounding Boston. Even on a cloudy, drizzle filled day, these parks were beautiful to walk through. They are nestled in the heart of of the city. Boston Common was founded in 1634, making it the oldest park in America. It has a delightful frog pond that becomes a skating rink in the winter, bandstands for music and theater, baseballs fields and tennis courts. The Public Garden was the first botanical garden and is where you can take a swan boat ride and visit the Make Way for Ducklings statue from the charming children’s book by Robert McCloskey. The parks are adjacent to each other and no doubt a place one can enjoy a serine, peaceful moment amidst the hustle and bustle of a big city. This was probably my most favorite historical place to visit in Boston. I came to Boston specifically for the history, and this cemetery did not disappoint. It dates all the way back to 1660. 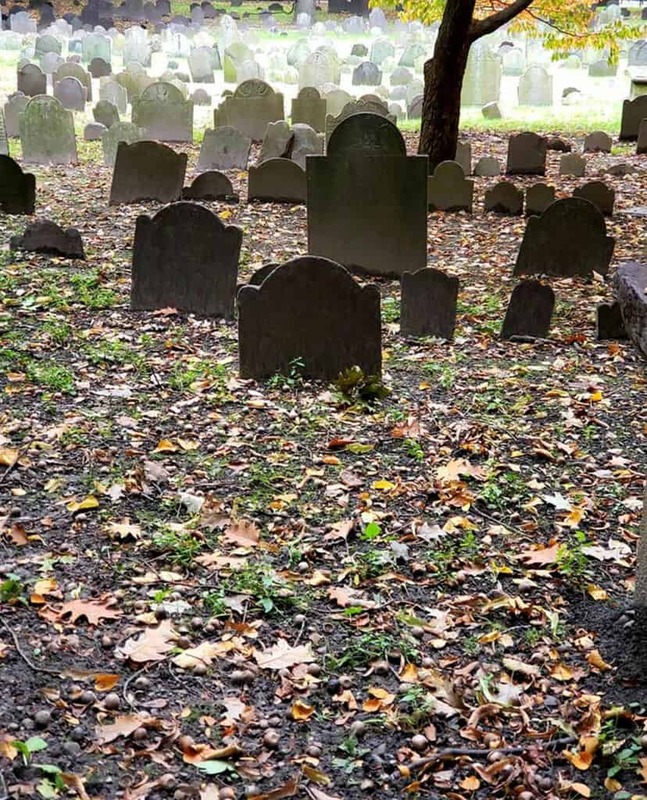 It is the final resting place of Paul Revere, Samuel Adam’s John Hancock, Benjamin Franklin’s family, and victims of the Boston Massacre. Even with all those names, the tomb that most impressed me was the one belonging to Mary Goose, otherwise known as Mother Goose. Mother Goose! We did many things but never felt rushed to get from one activity to the next. It was definitely a visit you can take at your own pace. I loved the rich history and the story it had to tell about Boston and the early days of our country. I would recommend a visit to anyone as there is something in Boston for everybody to enjoy.